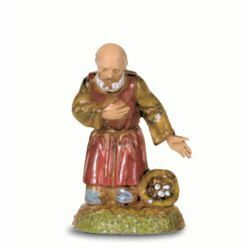 Saint Joseph - Silk-screened and hand finished plastic (PVC) figurine for miniature Landi Moranduzzo Nativity Scene with 18th century Neapolitan period costumes. 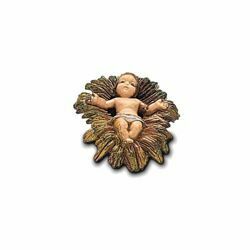 Baby Jesus - Silk-screened and hand finished plastic (PVC) figurine for miniature Landi Moranduzzo Nativity Scene with 18th century Neapolitan period costumes. 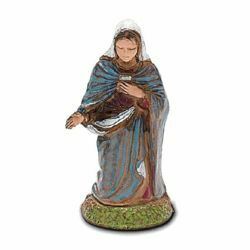 Mary / Madonna - Silk-screened and hand finished plastic (PVC) figurine for miniature Landi Moranduzzo Nativity Scene with 18th century Neapolitan period costumes. 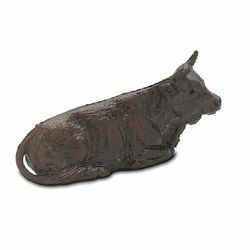 Ox - Silk-screened and hand finished plastic (PVC) figurine for miniature Landi Moranduzzo Nativity Scene with 18th century Neapolitan period costumes. 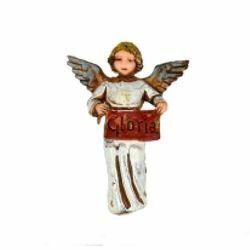 Glory Angel - Silk-screened and hand finished plastic (PVC) figurine for miniature Landi Moranduzzo Nativity Scene with 18th century Neapolitan period costumes. 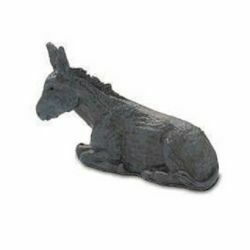 Donkey - Silk-screened and hand finished plastic (PVC) figurine for miniature Landi Moranduzzo Nativity Scene with 18th century Neapolitan period costumes. 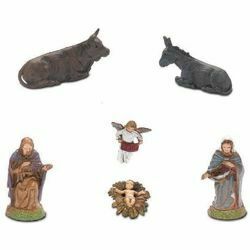 12 Sheep Set - Silk-screened and hand finished plastic (PVC) figurine for miniature Landi Moranduzzo Nativity Scene with 18th century Neapolitan period costumes. 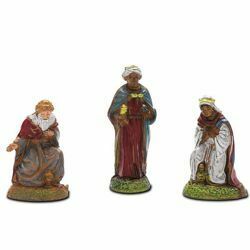 4 Subjects Set - Silk-screened and hand finished plastic (PVC) figurine for miniature Landi Moranduzzo Nativity Scene with 18th century Neapolitan period costumes. 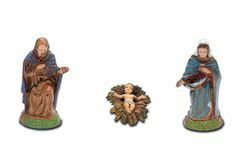 Holy Family Set 3 pieces - Silk-screened and hand finished plastic (PVC) figurine for miniature Landi Moranduzzo Nativity Scene with 18th century Neapolitan period costumes. 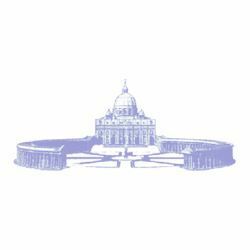 Holy Family Set 6 pieces - Silk-screened and hand finished plastic (PVC) figurine for miniature Landi Moranduzzo Nativity Scene with 18th century Neapolitan period costumes. 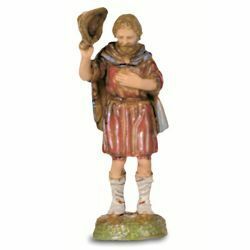 Shepherd with Hat - Silk-screened and hand finished plastic (PVC) figurine for miniature Landi Moranduzzo Nativity Scene with 18th century Neapolitan period costumes. 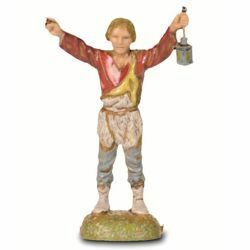 Shepherd with Lantern - Silk-screened and hand finished plastic (PVC) figurine for miniature Landi Moranduzzo Nativity Scene with 18th century Neapolitan period costumes. 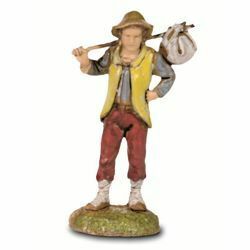 Shepherd with Shovel - Silk-screened and hand finished plastic (PVC) figurine for miniature Landi Moranduzzo Nativity Scene with 18th century Neapolitan period costumes. 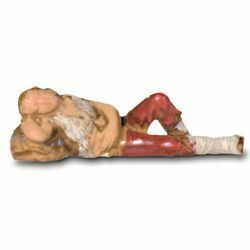 Sleeping Man - Silk-screened and hand finished plastic (PVC) figurine for miniature Landi Moranduzzo Nativity Scene with 18th century Neapolitan period costumes. 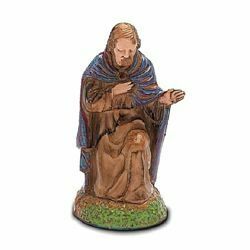 Kneeling Shepherd - Silk-screened and hand finished plastic (PVC) figurine for miniature Landi Moranduzzo Nativity Scene with 18th century Neapolitan period costumes. 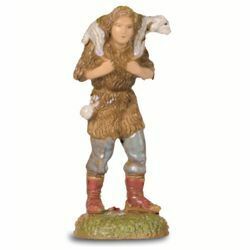 Young Shepherd with Lamb - Silk-screened and hand finished plastic (PVC) figurine for miniature Landi Moranduzzo Nativity Scene with 18th century Neapolitan period costumes. 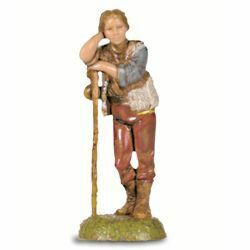 Shepherd with Stick - Silk-screened and hand finished plastic (PVC) figurine for miniature Landi Moranduzzo Nativity Scene with 18th century Neapolitan period costumes. 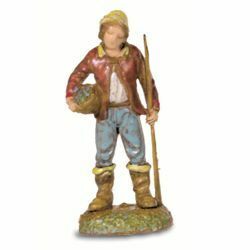 Fisherman - Silk-screened and hand finished plastic (PVC) figurine for miniature Landi Moranduzzo Nativity Scene with 18th century Neapolitan period costumes. 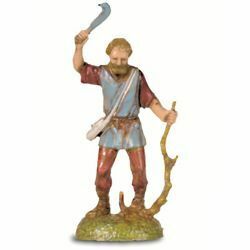 Screaming Man - Silk-screened and hand finished plastic (PVC) figurine for miniature Landi Moranduzzo Nativity Scene with 18th century Neapolitan period costumes. 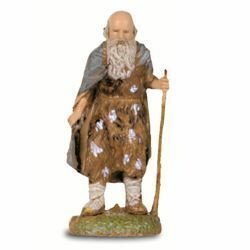 Elderly Man with Stick - Silk-screened and hand finished plastic (PVC) figurine for miniature Landi Moranduzzo Nativity Scene with 18th century Neapolitan period costumes. 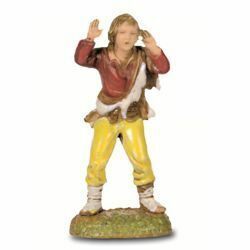 Wayfarer - Silk-screened and hand finished plastic (PVC) figurine for miniature Landi Moranduzzo Nativity Scene with 18th century Neapolitan period costumes. 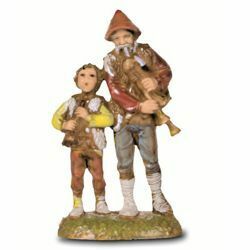 Bagpipers - Silk-screened and hand finished plastic (PVC) figurine for miniature Landi Moranduzzo Nativity Scene with 18th century Neapolitan period costumes. 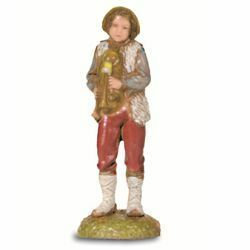 Bagpiper - Silk-screened and hand finished plastic (PVC) figurine for miniature Landi Moranduzzo Nativity Scene with 18th century Neapolitan period costumes. 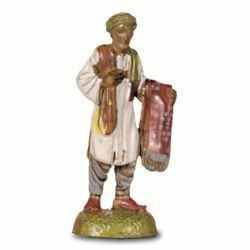 Arab with Cloth - Silk-screened and hand finished plastic (PVC) figurine for miniature Landi Moranduzzo Nativity Scene with 18th century Neapolitan period costumes. 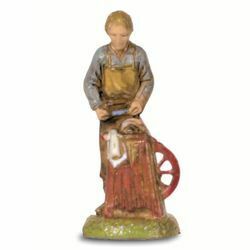 Knife Sharpener - Silk-screened and hand finished plastic (PVC) figurine for miniature Landi Moranduzzo Nativity Scene with 18th century Neapolitan period costumes. 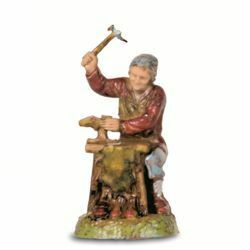 Lumberjack - Silk-screened and hand finished plastic (PVC) figurine for miniature Landi Moranduzzo Nativity Scene with 18th century Neapolitan period costumes. 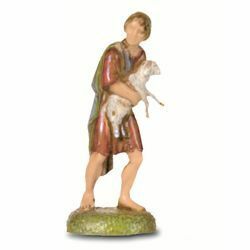 Good Shepherd - Silk-screened and hand finished plastic (PVC) figurine for miniature Landi Moranduzzo Nativity Scene with 18th century Neapolitan period costumes. 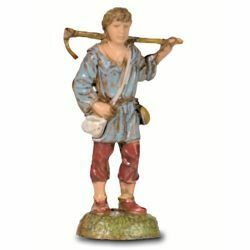 Shoemaker - Silk-screened and hand finished plastic (PVC) figurine for miniature Landi Moranduzzo Nativity Scene with 18th century Neapolitan period costumes. 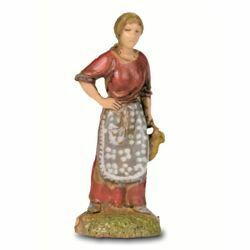 Woman with Amphora - Silk-screened and hand finished plastic (PVC) figurine for miniature Landi Moranduzzo Nativity Scene with 18th century Neapolitan period costumes.